Join the discussion on our forums! 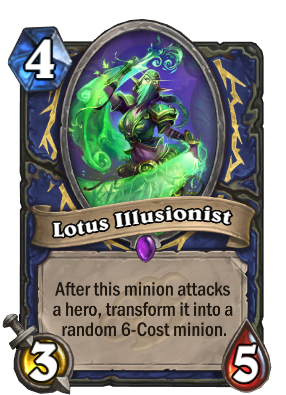 Come discuss Lotus Illusionist over in our dedicated Lotus Illusionist discussion topic. If you think her Illidan and Sylvanas cosplay is great, wait till you see her Reno Jackson! Such beautiful art! Too bad this is one of the most overlooked cards. 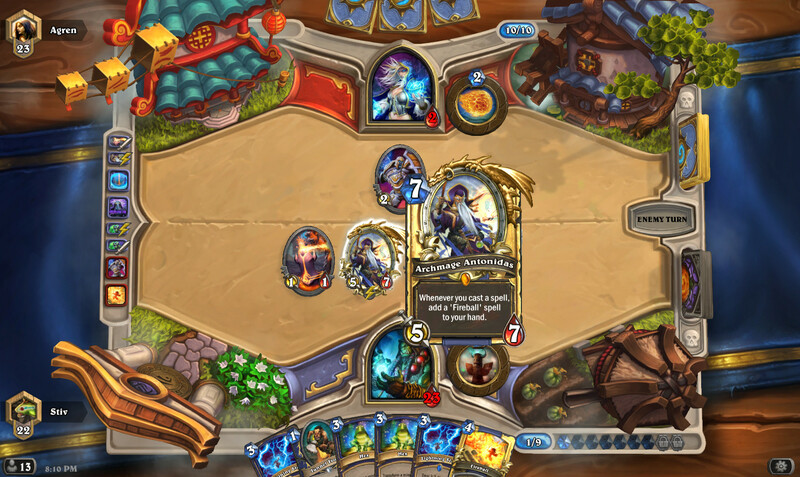 I got her from Piloted Sky Golem, and managed to attack too. Guess what? She turned back into another Piloted Sky Golem! I was hoping she would drop out of it again, but the game ended before she could eject. Cool Synergy with windfury effects. Attack and kill something, then go face to transform. Obviously bad, but fun to try. Dancer of the Boreal Valley ripoff? .... Looks absolutely nothing like her. Not only that, dancer's were NEVER done in video games prior to Dancer of the Boreal Valley. You can be holy priest as a Forsaken because the lore support it, if you played burning crusade or older there are several quest lines in forsaken-priest that denotes that you feel you burn inside every time you cast a holy spell, and how anxious you feel being constantly surrounded by holy light. 1. If anything the dev team at blizz can be named is "inconsistent" they explained how forsaken wielded holy power during burning crusade (or older can't remember exactly, but I DO remember their explanation, only former holy characters could pick priest because they were entuned with the holy power before their death and the stuff I alreday wrote). If the people in the panel didn't know or rememberd this is just proof that the dev team has gone down hill, very very DOWN. 2. How else can you make neutral cards then? The only option I see is if the card art could change when added to a certain class deck, but that would take extra resources and extra files (considering this game has a mobile version this is terrible). So requiring neutral cards to exist with a defined identity is a lore compromise, this card on the contraire is 100% free to be designed correctly, including it's art. 3. Completely agree, WoW is no longer what the warcraft universe look'd like. Nah dude, that's obviously the "illusionist" part. That "Night Elf" is really a male Tauren.